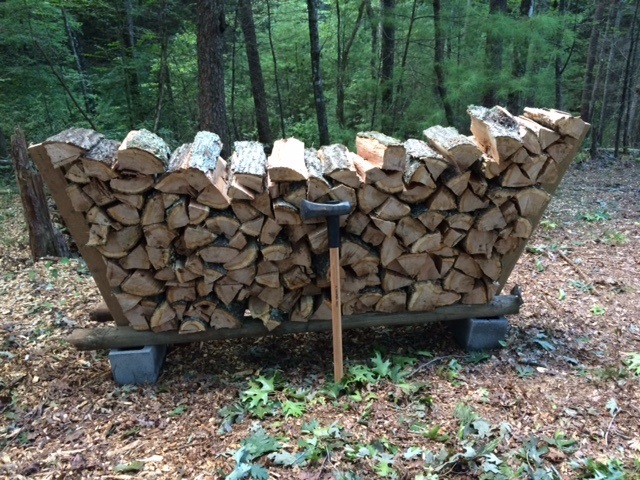 Spent Friday and Saturday giving the maul a workout, laying up two stacks of firewood. 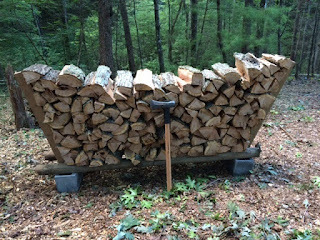 Sunday, my wife and I were about a quarter way through laying a up a third stack when a neighbor walked by and offered use of his electric splitter. Thanks to the powered assist, two more stacks were split and stacked by end of day. 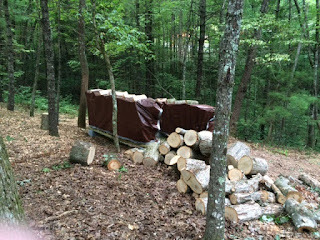 Good neighbors are as important as good location. It's the people we met living up here that sold us on this place as much as the location itself.